Facts About Hemorrhoid Treatment: Are Hemorrhoids A Serious Condition? A How To Guide For Treating Internal, External, Bleeding, And Thrombosed Hemorrhoids. Most Hemorrhoid Sufferers Have A High Chance Of Treating Their Hemorrhoids With Home Remedies And Natural Methods. Discover Your Choices. Are Hemorrhoids A Serious Condition? For the most part hemorrhoids are not a serious condition. In rare cases sufferers may have to go to the hospital do to bleeding hemorrhoids, but hemorrhoids alone are not life threatening in most cases. We strongly advise you to still visit a doctor to get a proper diagnoses. So why are we telling you to see a doctor if hemorrhoids are non-life threatening? Because we want to make sure you actually do have hemorrhoids, and not other life threatening conditions such as cancer. Colon Cancer may also have similar symptoms as hemorrhoids such as bleeding. So it is always best to have it checked out. - Who Can Get Hemorrhoids? - When Will It Go Away? 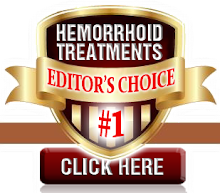 Would you like to share a home treatment for hemorrhoids that has worked for you? Poll: Which Form Of Treatment Would You Prefer? © 2010 All Rights Reserved. All trade marks and copy rights are owned by their respective owners. Always consult a licensed health care provider for any health problems. We do not provide medical advice, diagnose, or treat health problems.